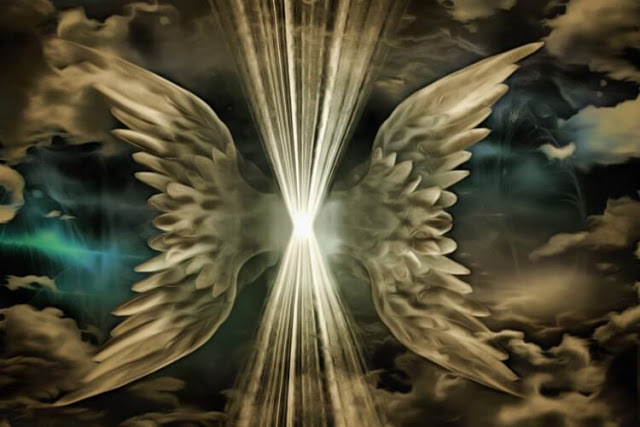 If you connect with angels and ascended masters in your spiritual work, what I’m about to share may well shake your belief system to the core. Please hear me out though because what I’m going to reveal is critical to the purification of our collective consciousness. As we take the ascension process of planet Earth to the next level, the way we interact with spiritual forces needs to be addressed and adjusted. If you invoke angels or ascended masters to assist you with healing or spiritual growth, I highly recommend you stop. Not because these beings don’t exist as they certainly do. Rather, when you call upon these higher dimensional beings you really have no control over who or what will actually respond. There are a plethora of entities that reside in the astral realm that don’t have your best interests at heart and are adept at deceiving you into believing they are the angel or ascended master you seek. The truth is, as much as your ego would like to convince you otherwise, it’s difficult to differentiate between real and false light. These parasites and vampires are very clever at what they do since their survival depends on it! Their sole purpose is to feed off your energy of worship and admiration. Have you noticed how many people there are right now claiming to be the reincarnation of Jesus, Archangel Michael, Mary Magdalene, or any one of the many popular angelic icons? There are literally hundreds of people claiming that they are the Jesus, the Archangel Michael or the Mary Magdalene. These people form elaborate identities and amass followings based on these facts. This is no less than a form of energy vampirism. It stands to logic that anyone who is actually incarnated from a higher dimension does not require to be recognized or worshiped. They are humble servants of God. People who have actually attained a higher level of love consciousness have no need or expectation of admiration. You’re much more likely to find an enlightened one living in a cave in the Himalayas than you are gathering a following on Facebook or YouTube. So, just as there are many false light ‘masters’ and ‘gurus’ in the physical realm, so too are there many more residing in the astral realm. As above, so below. These vampiric and parasitic entities are masters of deception and part of the process of ascension is to cleanse these energies that are not working for the highest good of all, while returning them to source to be purified and re-assimilated into the creation according to the divine plan of the creator. Therefore, in order to contribute to this cleansing process, we must begin by stopping the perpetuation of their illusion. Please let me reiterate that I am not saying that archangels and ascended masters don’t exist. Certainly there are higher dimensional beings who were created to assist with humanity’s spiritual development. Neither am I saying that you shouldn’t work with these higher dimensional light beings as part of your spiritual practice. Working with them can be very beneficial, but (and yes this is a big but) you must be careful how you invoke them. So, how should you call upon your higher guides? Always address your invocations, prayers and requests directly to Source Creator. Ask Source Creator to send you the being or energy that you need for your highest good in that moment. If you are sure that you want to connect with a particular angel, that’s okay, but make sure that you ask Source Creator/God/Spirit/the Universe or whatever terminology you use to send that being to you. For example, you can say, “Dear Source Creator, if it be for my highest good, please send Archangel Michael to protect me. If that not be for my highest good, please send that which is for my highest good to protect me.” If you need healing, ask Spirit to send you the energy that will give you the highest form of healing for the issue you have, which is typically the 12th Ray of God’s Light or the Gold Ray. Genuine archangels and ascended masters will take their direction from Source Creator, not from humans. They will always need the permission of God to work with you, so why would you not go straight to God to ask for permission yourself? Always remain humble in your interaction with the Creator, for the Creator knows the best solution for every situation and will deliver what you need for the highest good. Have faith. Higher dimensional beings, such as angels and ascended masters, were created to do God’s work, and in that sense they have no free will. In the same way that the general must lead his army, so is it for God to direct these higher dimensional beings, not you. When we attach identity to our prayers and requests to Great Spirit in the form of specific beings, we are somewhat limiting the possibilities available to us. From our position on Earth, we have a very limited view. We can’t see all possible outcomes. Great Spirit has a view of everything, from every perspective and can therefore send us exactly what we need. Working with the 12 Rays of Light that emanate from Source, and in particular the 12th Ray of Golden Light, is an easy and effective way to connect with pure source energy. Yes, there are angels and masters that work with these rays, but it is not necessary for you to invoke them for them to be able to do their job for you. Go to Source and let Source take the lead: Let go, let God.